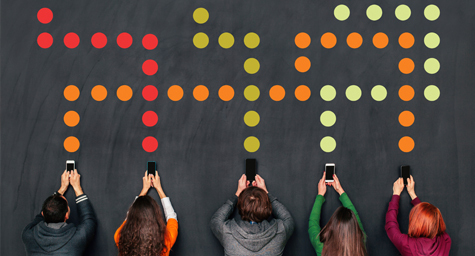 Do Marketers Notice the Need to Optimize Mobile Messaging? While marketers are focused on making customers open their emails, they need to open their eyes to other digital messaging options to reach the modern consumer. According to a Corvisa survey, the majority of consumers are willing to receive mobile texts and notifications about reminders and alerts, while half are open to getting them for promotions, sales, and special offers. If so many consumers favor this form of communication, why do only about 25% of US retailers send these offers via SMS or their app? To show marketers why they should start putting more effort into texts and notifications, MediaPost.com featured the following findings to make marketers take notice of digital messaging. Today, texts and notifications respond to the popularity of mobile devices by making it easy and convenient for consumers to access personalized communications. Their enormous openness to mobile messages should make marketers sit up and take notice. To develop the most effective and efficient texts and notifications, marketers need to test and measure a variety of highly personalized digital messaging. Experts encourage using the following four steps to optimize these messages. First, marketers need to find out what drives customers to delete their app or opt out of SMS. This information will serve as a guide to developing much more effective communications. Next, marketers must discover what really resonates with customers. This insight can be uncovered by tracking the types of messages getting the most clicks and conversions. Then, send special offers that reflect these findings to validate their accuracy, as well as measure both the value of communication and the entire user base. This information will determine future budget and staffing needs. Figure out the percentage of the subscriber base that opts in for either one or all email, SMS, and notifications. This will show which channels are most valuable and allow for targeting by each channel. The same amount of testing that email has demanded must also be performed with texts and notifications. Experiment with various copy, layouts, timing, and level of personalization. Then, analyze these findings to see which mobile messaging approaches are most effective. By taking notice of the need to craft savvy promotional texts and notifications, marketers can tap into the attention of its audience. Follow the latest mobile messaging trends in digital marketing. Contact MDG Advertising.